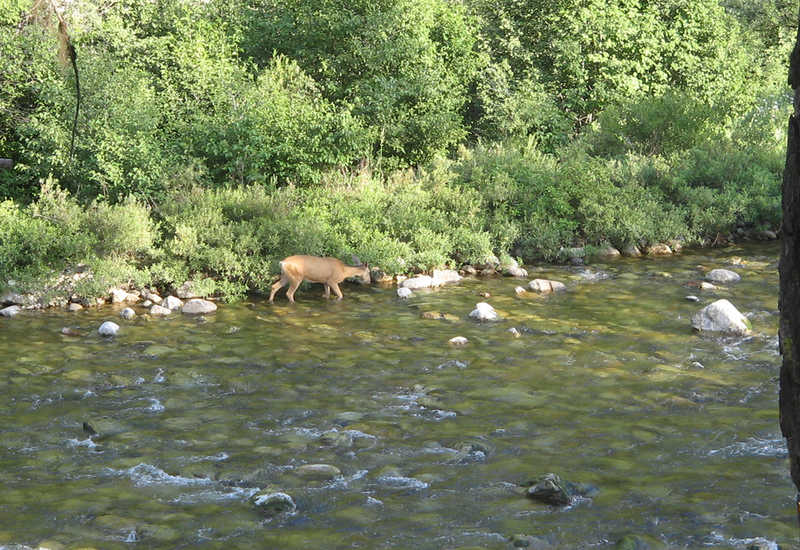 As always, Johnson Creek was a very enjoyable destination. 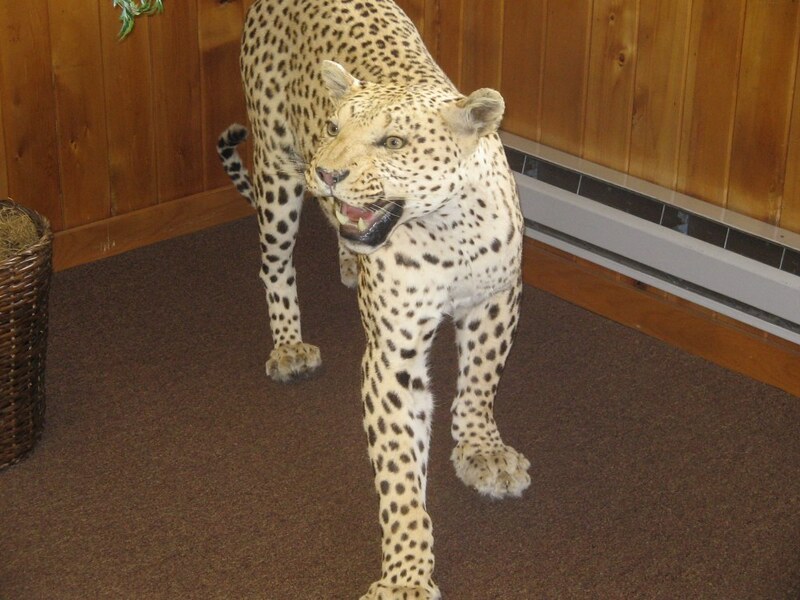 Stopping for fuel in McCall, we were surprised to see this kitty cat in the lobby of the FBO. Luckily, it was stuffed. 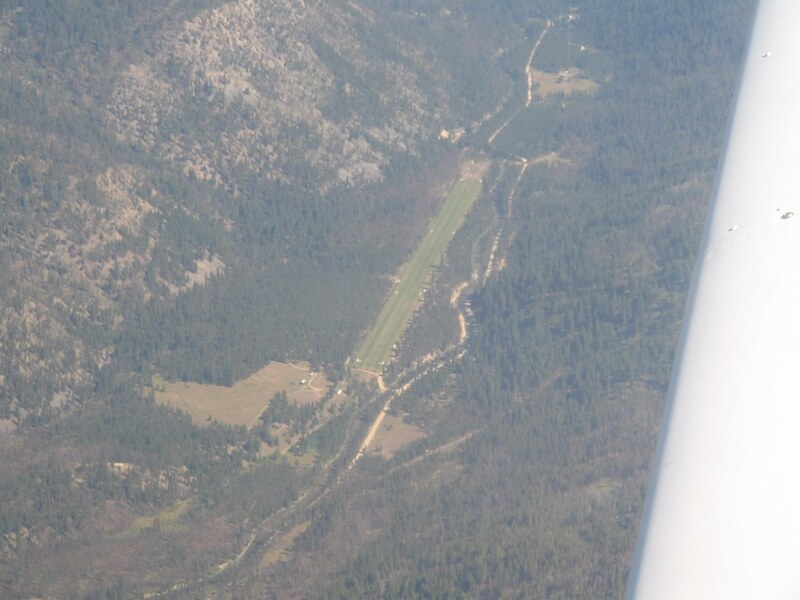 Overhead view of Johnson Creek airport taken from about 9,000 ft. The Arizona contingent takes up a lot of parking spaces this year. Mark keeps cool while engaging in one of the more popular pastimes at Johnson Creek (especially on a warm day). 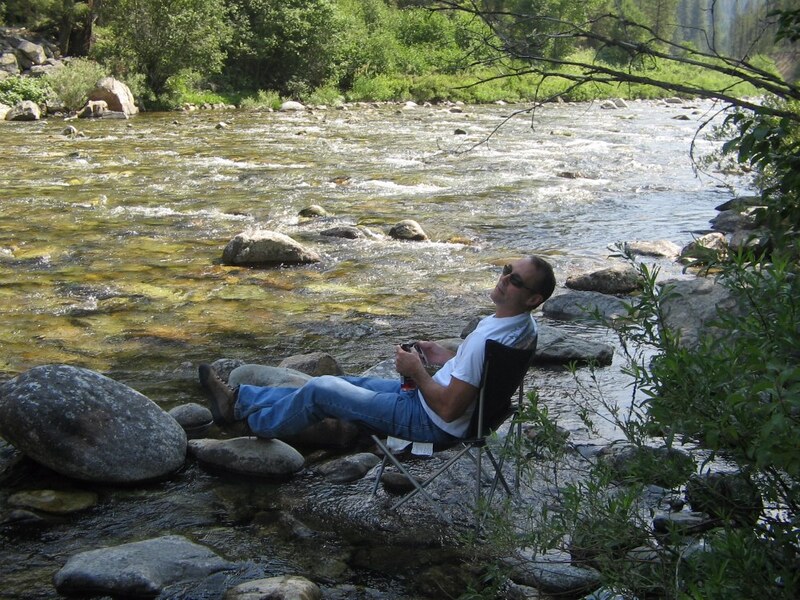 It's called creek sitting. 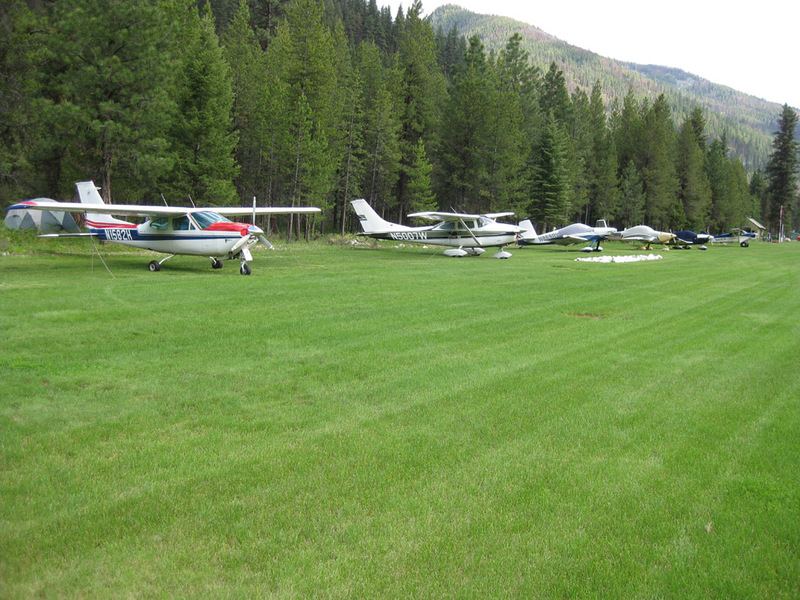 One of the local residents also thinks it's a pretty cool idea. 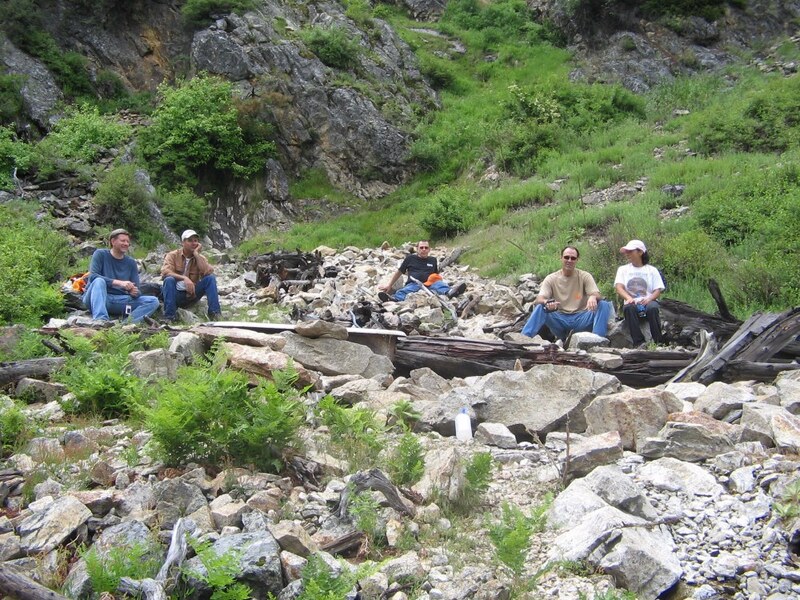 We all hiked up to the hot spring located on the hillside next to the strip. Nobody likes it when it starts raining. While Mark see's fit to just pull his hood over his face, Mel appears to contemplate giving him a wake-up call with that beer bottle. 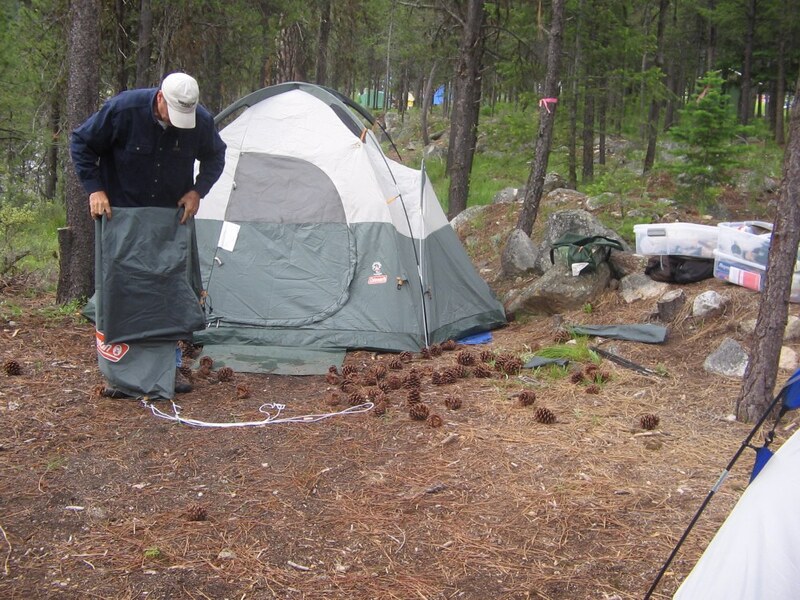 Doug was puzzled to discover that the local pine cones appeared to have a mysterious attraction towards his tent. 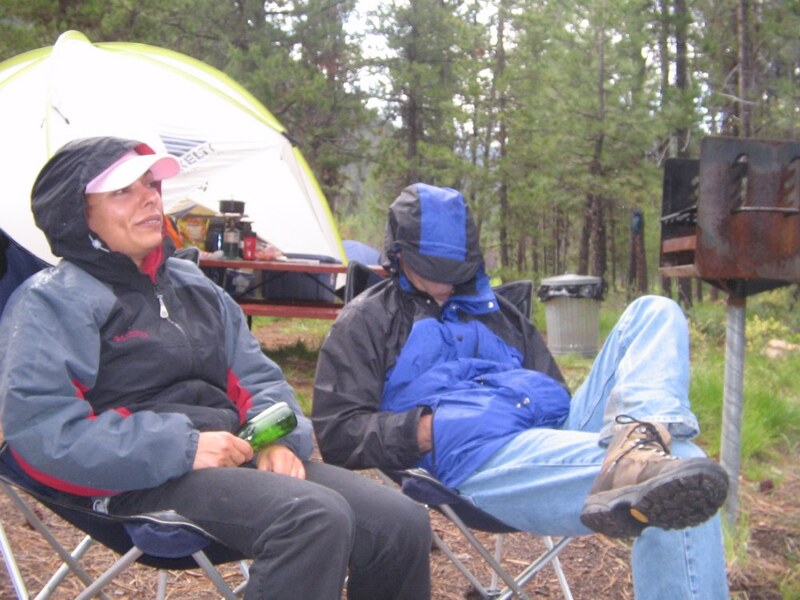 It probably didn't help that Doug went to bed while everyone else was still imbibing around the campfire. 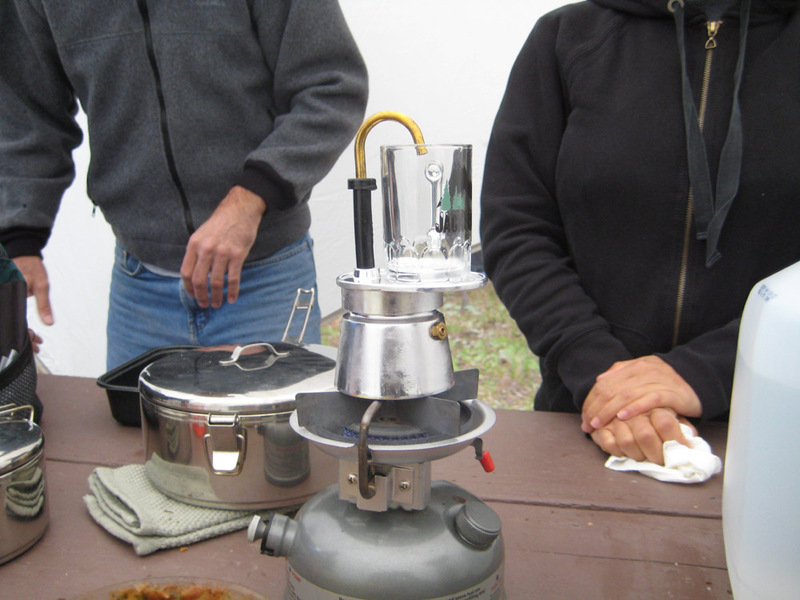 Mel's camp stove powered cappacino maker was an essential piece of equipment. Who can camp without cappacino?